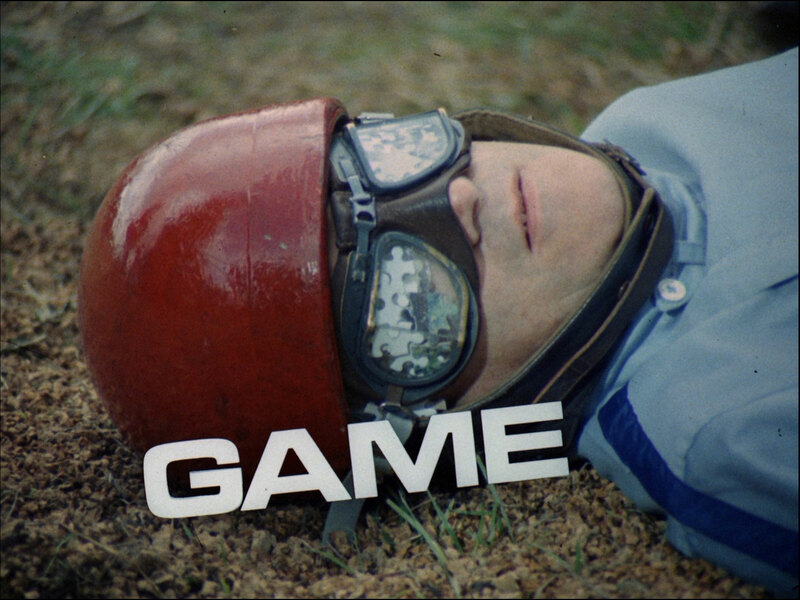 A roll of a die and Cooty Gibson (Brian Badcoe) has "unfortunately, only one minute" to sit in a Lotus Simulator, mimicking the actions of an electric racing car set. After several laps, the car leaps from the track and crashes - as does Gibson. We see his body dumped on the ground, his goggles filled with jigsaw pieces. Tara arrives at Steed's flat and hands him a gift-wrapped parcel she found at the door. He opens it and is puzzled to find it's a game of snakes and ladders. "Someone's playing a game with you", she quips. Elsewhere in Britain, a die is rolled and the manservant in attendance (Garfield Morgan) smiles evilly and watches a piece climb a ladder - we cut to the Clyde Dexter (Geoffrey Russell) climbing a real, very tall, ladder. Sweating as he climbs the precarious stair, he finally reaches a box marked "Reward" but it opens to reveal a snake-in-the-box which bites him and he falls to the ground - the man at the board traces the piece down a snake to a box marked "Revenge". Tara finds a note inside the Snakes and Ladders box: "Go immediately to the children's playground, Merton Park; what you gain on the roundabouts you lose on the swings". They find Dexter's body propped up in one of the swings with a pile of jigsaw pieces in his hand. 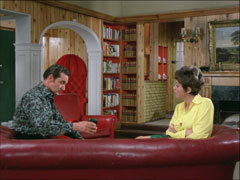 Back home, Steed tells Tara he served in the army with Dexter who had died of snake bite - he was a zoologist. He then tells her about Gibson - a racing car driver - who was found the week before, lying in a field with car accident injuries. He hands her Gibson's jigsaw pieces and asks her to check them out at Jig Creations. There she meets the jigsaw master (Desmond Walter-Ellis) who tells her he can't help until she has more pieces. She departs after he displays extraordinary skill in speedy jigsaw completion, and they both fail to notice the manservant lurking about the shop. 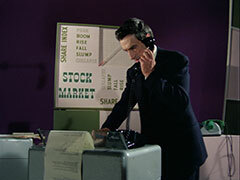 Steed recalls that Averman served alongside him and the dead men then goes to see him, a high-powered financier who juggles calls to brokers in New York, Rome & Cairo. The manservant gets there first and chloroforms Averman (Alex Scott), then attacks Steed when he arrives, finally knocking him out with a large ashtray. Steed asks Tara for lots ice - for his whisky, not for his head while Averman slowly comes to, and we see the mastermind (Peter Jeffrey) gloating. 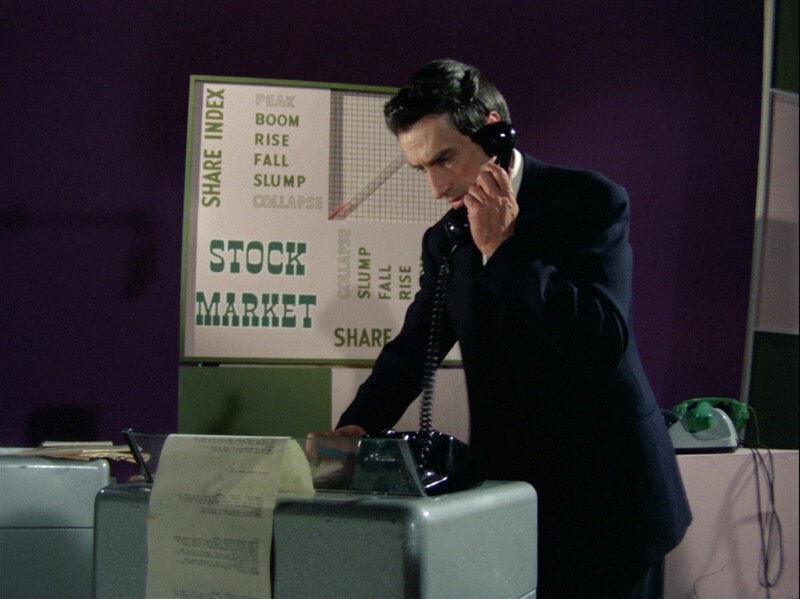 Averman must take part in a game of "Stock Market" in order to recover his heart pills, but midway through sells a stock and collapses when he sees his portfolio crash. The manservant lets himself be seen by Tara when he fires a rubber missile through Steed's window with a note attached: "What you lost on the swings you'll lose on the roundabouts". Sure enough, they find Averman's propped up on the roundabout with a handful of jigsaw pieces. They visit Brigadier Wishforth-Browne (Anthony Newlands) but he has no recollection of Steed's fellow officers. He promises to look into it and meet them at dawn on the firing range as he has a pressing dinner engagement that night - except his host is the diabolical mastermind, whom he tells he is "game for anything". Tara wakes Steed, saying it's nearly dawn but her atomic watch has stopped and it's midnight - the brigadier is having his first, and last, brandy. It's spiked an he becomes increasingly dizzy as his host, Monte Bristow, rants about how he was given odds of 6-1 against when he had a different name. The brigadier comes to and is given "unfortunately only one minute" to capture the hill. 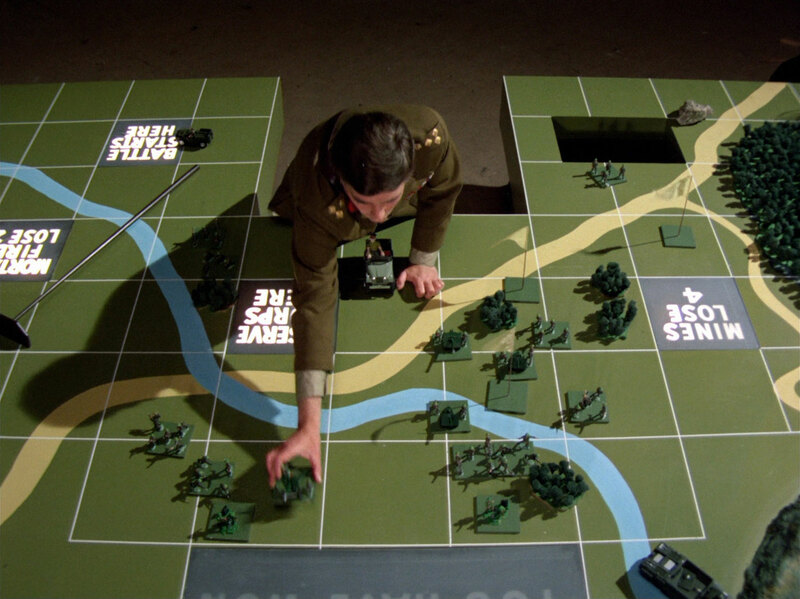 Bristow is dismayed when Wishforth-Browne makes short work of the defences and wins, then cheats and tells him he forgot to scout the land, makes him move to his left and kills him with a toy cannon. Steed wakes Tara, and whisks her away to see the Brigadier with a spank on the bottom. The brigadier's truck comes across the field, no driver at the wheel and him standing in it, and they dive out of the way before it crashes into a tree. Tara races up and discovers a handful of jigsaw pieces in the brigadier's left glove. Tara's made progress with the puzzle when Steed arrives home - he's found the link, Sergeant Daniel Edmund, court-martialed in 1946 for blackmarketeering, now missing. they go to see the fifth presiding officer, Professor Witney, but when they arrive one of his students (Achilles Georgiou) tells them he's gone to London for a dinner engagement. Outside, the manservant smiles as he sees them leave. While the try to track down Witney, Steed reveals that he was the sixth officer at the court-martial. The professor (Aubrey Richards) is, of course, dining with Bristow, who asks him about fate and destiny before drugging his brandy and ranting about Averman. Tara has barricaded Steed in by the time the professor re-awakes, finding himself confronted with the letters IPEZEXR, while above him is shown XPPEIPR. Seven letters to make a word of not less than six letters. The professor starts stabbing madly at the controls, which seem to act contrary to any pattern and is crushed by the descending roof of the box before he can make "EXPIRE". The manservant leaves a drumming Indian toy at the door with the note: "Boys and girls come out to play, Witney's dead, hip, hip, hooray." - he's found lying on a two-seater swing at the park with more jigsaw pieces. The manservant is sent to kidnap Tara, chloroforming her and insert the last two pieces in the before he goes. 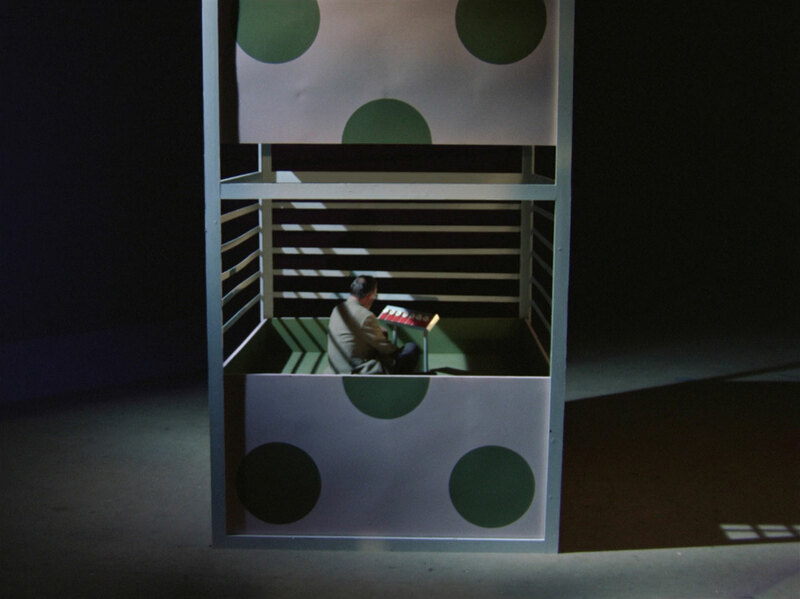 Steed returns and finds the discarded chloroform pad and the completed puzzle, which he takes to Jig Creations. The manager says it's not in his records. He looks at it again and realises it's a picture of the house of Monte Bristow, the games king. He drives straight there where he is welcomed by the manservant, who says Miss King is waiting for him. He refuses to let the manservant take his hat and umbrella and reveals he knows exactly who Bristow is. He cautiously chooses his own drink rather than let the manservant pour one then Bristow suggests a game so he can recover Tara. Steed scoffs but is told he already is - he lost the 5:1 chance of picking the drugged decanter, but they expected him to want brandy. 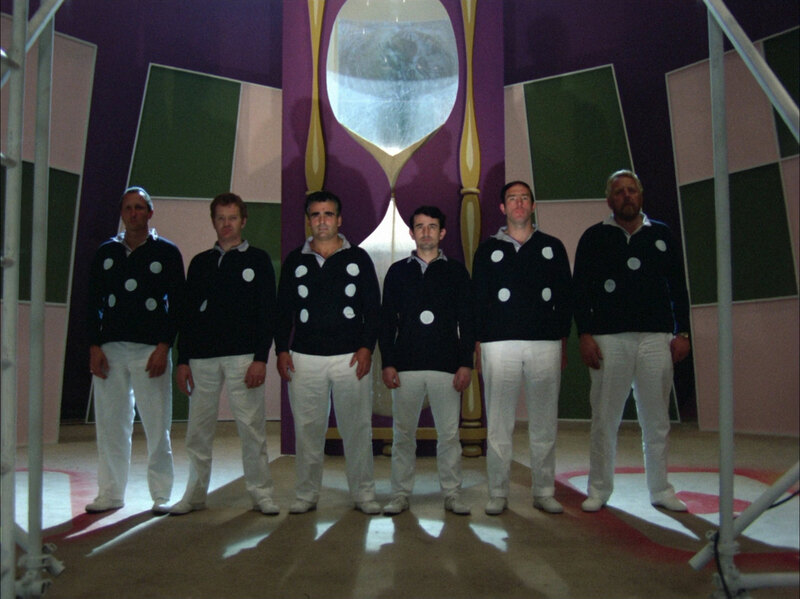 Bristow starts a game of "Super Secret Agent", Steed having six minutes in which to save Tara from being suffocated in the bottom of a gigantic hourglass. First he defeats a "fiendish Japanese wrestler", recovering the key to his handcuffs from him. 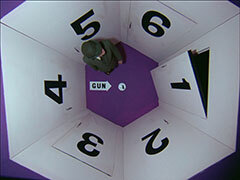 Next he has to open a safe and defuse the bomb inside in sixty seconds, Bristow is grumpy when he manages to do it with a second to spare and grudgingly allows the game to continue - a reward of a gun, inside a hexagonal room. He's even grumpier when Steed avoids the deadly traps of the room and retrieves the empty magazine for the pistol. Then he has to crawl through tunnels, like Connery in Dr No, annoying Bristow again by avoiding guillotine by pushing his bowler ahead of himself, the crown of the hat sliced in two. 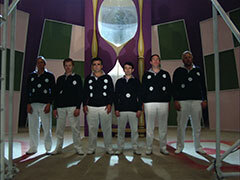 He has six bullets now, and is faced with six assailants at six-second intervals, but only one bullet is live. 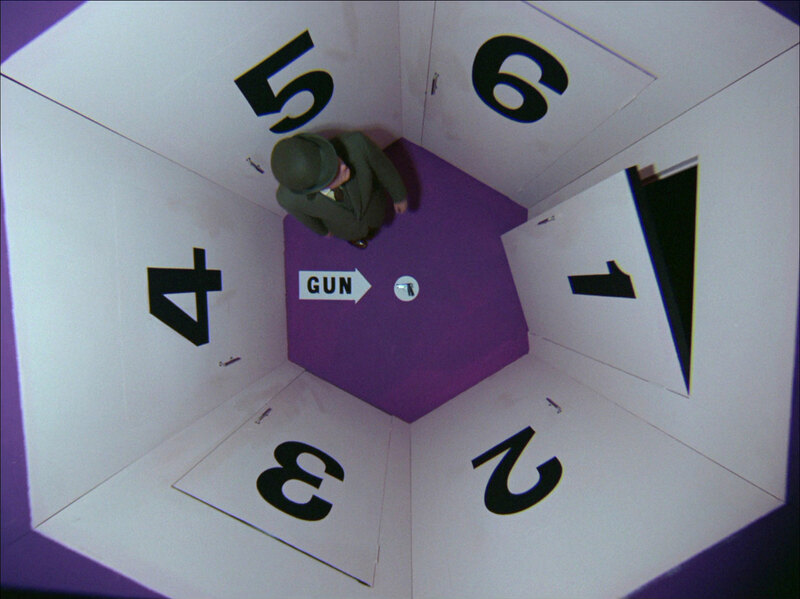 Bristow is livid when Steed fires every single bullet at the hourglass while fending off the first two assailants and Tara escapes to help him defeat the last four. Bristow orders the manservant in to stop them but he's easily overpowered and sent reeling back to Bristow's feet. Bristow pulls a card from him sleeve with a razor-shard edge and throws it at Steed, who deflects it back at him with a coal shovel. That evening they play Steedopoly - a game with rules by and for Steed, who keeps rolling the dice over and over, while Tara doesn't get a chance at all.